Like many homeowners, Jon and Paige Sellers tackled a master bathroom remodeling project this year. They made a smart invest. According to the 2018 Cost versus Value study sponsored by Remodeling magazine, a mid-range bathroom remodeling project has 70.1% recoup value. This popular home improvement project can bring solid returns when selling a house. For the Sellers however, the bathroom remodel was not about getting their house ready to put on the market. The Texas homeowners simply decided it was time to enhance one of the key living areas of their home. One of the important bathroom upgrades for the Sellers was the replacement of an older, plain frosted window over the master bathtub. 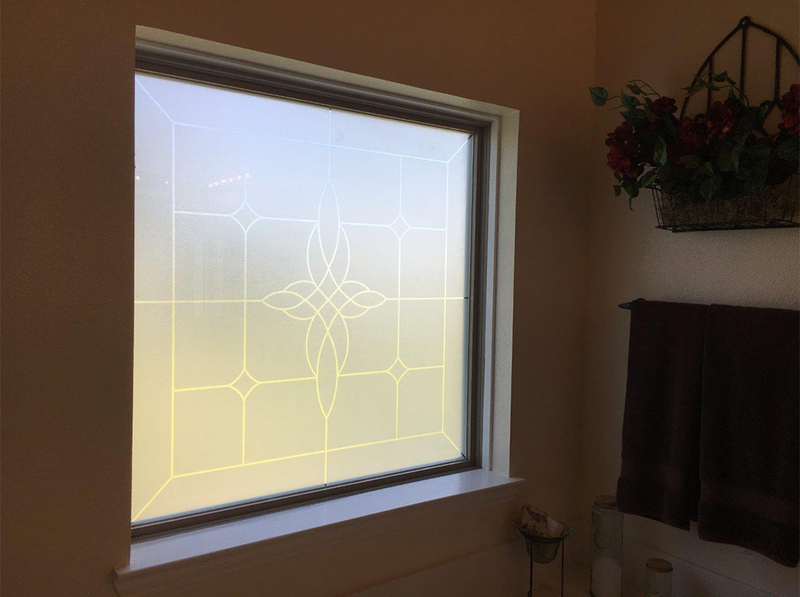 "We wanted a window with an attractive design to complement the overall bathroom renovation," says Jon Sellers. "By searching on Google and visiting our local Home Depot, we were able to identify Hy-Lite® as the company with the type of privacy windows we liked. Eventually we went to the Hy-Lite website and ordered the Aurora window." Part of the economically-priced Bath-Lite® Series that also includes the Olympia, Decorative Star and Charming Bloom window styles, the Aurora window allows streams of light to filter into a room. A soft intricate pattern of blocks and miniature diamonds surround an interwoven fluid design in the center of the window. The cost-effective privacy window is the number one best seller in the Bath-Lite Series. "All the Hy-Lite windows we considered are visually appealing and available at a reasonable price point," says Sellers. "Now we have a window that brings light into the bathroom while complementing the style of our home. This has brought us great satisfaction." Available in a 48" x 48" size, the Aurora window is ideal for bathroom settings along with living room spaces, dining rooms and bedrooms. When matched with a colored frame (available in white, tan, driftwood or bronze), the Aurora window quickly becomes a stylish focal point in a room.